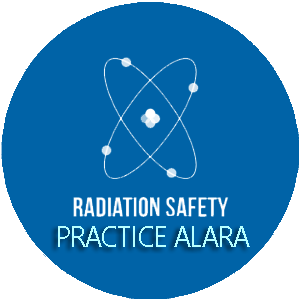 The protection principle called ALARA goes much farther in protecting the worker than the Effective Dose level. This principle states that occupational exposure should be kept As Low As Resonably Achievable. This is an important principle that all Xray and Radiologic Technologist should strive for. Always wear a personnel monitoring device. 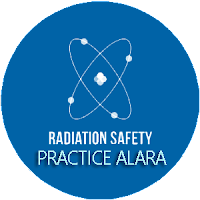 Although the device does not lower the exposure of the wearer, long term accurate records of radiation exposure are important for determining protection practices. Restraint Devices or Retention bands should be used whenever possible, and only as a last resort should anyone stay in the room to restrain patients. This should never be radiology personnel. If restraining patients is necessary, this should be done by a person other than an occupationally exposed worker. This person should never stand in the primary or useful beam and should always wear protective aprons and gloves. Practice the use of close collimation, filtration of primary beam, optimal kV techniques, high speed image receptors and minimum repeats exams. Exposure of the radiologic and xray technologist is due primarily to scattered radiation in patient exposure and other sources. Therefore, reduction in patient exposure results in reduced exposure of the technologist as well. Follow the 3 cardinal principles of radiation protection: The time, distance and shielding principle. The radiologic technologist as well as xray tech should minimize time in an exposure field, stand as far away from the source as possible, and use lead shielding when in an exposed field. This is important in trauma and mobile radiography. Protection from scatter radiation is important for portable xray and fluoroscopy units such as the C-arm because of the potential for increased patient and worker doses.